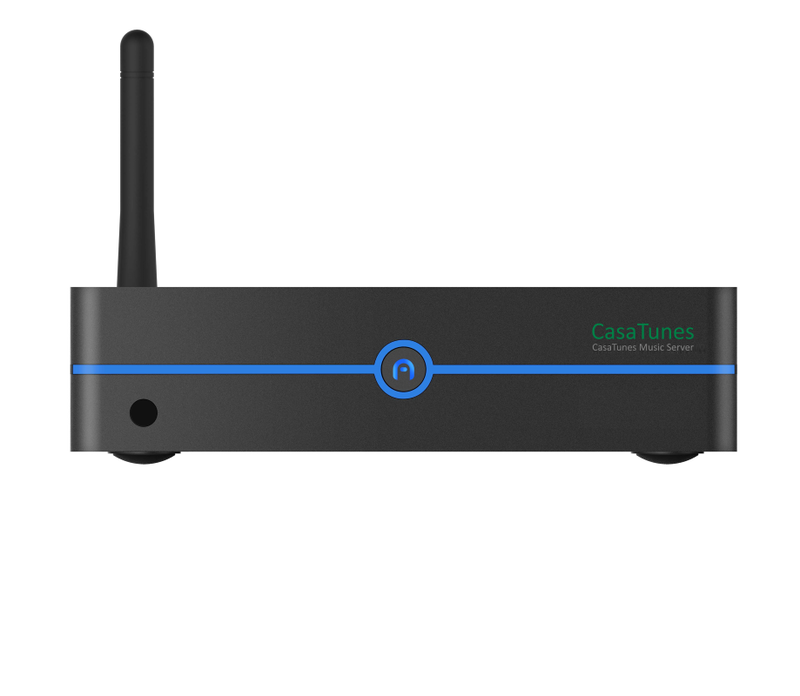 The CasaTunes CT4-6Z music system consists of the CasaTunes CT-5 music server and 1 x CasaTunes 6X6 Matrix Amplifier. Simply add speakers to complete your 6 room solution. 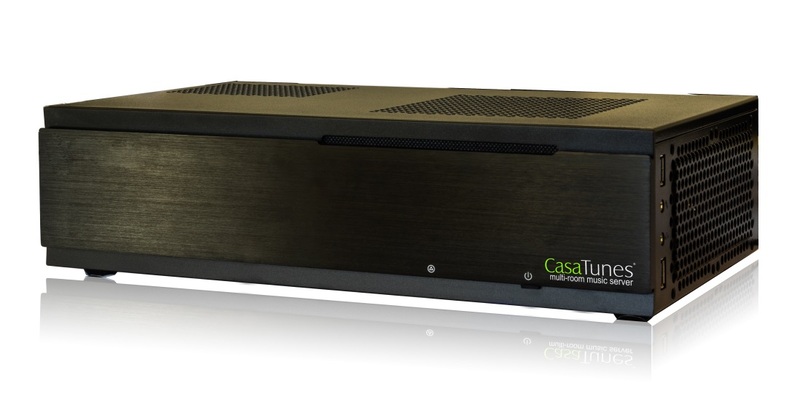 Each CasaTunes 6X6 Matrix Amplifier includes 6 keypads, a keypad hub, and a remote control. 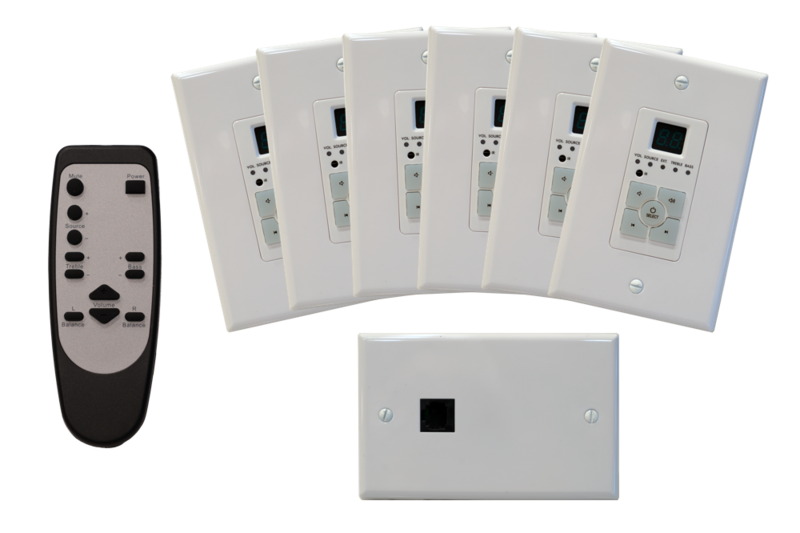 The keypads and remote control can be used to toggle power, change volume and select a source for a room. Installation of keypads are optional. CasaTunes controls access to Administrator tasks, simplifying the customers experience, and reducing the possibility of customers inadvertently changing their music server configuration. CasaTunes monitors your CasaTunes music server and automatically attempts to recover when issues are detected. CasaTunes can also be configured to notify dealers of issues, allowing dealers to pro-actively manage their customers sites. PA (Paging) trigger input. When a 12VDC signal is applied to the PA jack, the audio from Source 1 (aka Paging source) is broadcast to all zones.